A NASA satellite picture on Thursday shows Icelandic Eyjafjallajokull volcano continuing to emit a dense plume of ash and steam. 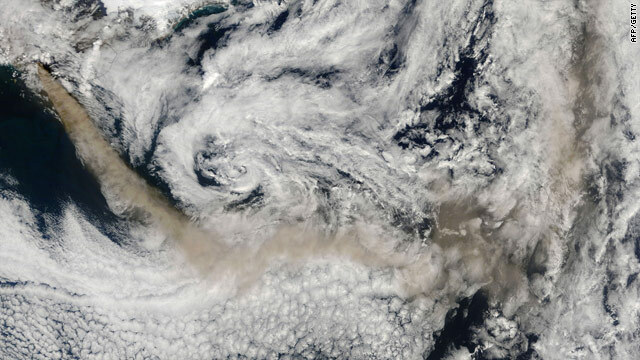 (CNN) -- Volcanic ash forced the closing of Iceland's main airport Friday. Officials said they hope to reopen Keflavik International Airport in Reykjavík at midnight (8 p.m. ET). Earlier this week, ash from an Icelandic volcano shut down traffic at airports from central Spain to the Canary Islands off the coast of Africa, air traffic control authorities said.